This antecedent to the nacho originated in Mexico and has probably been made in one shape or another for hundreds of years. 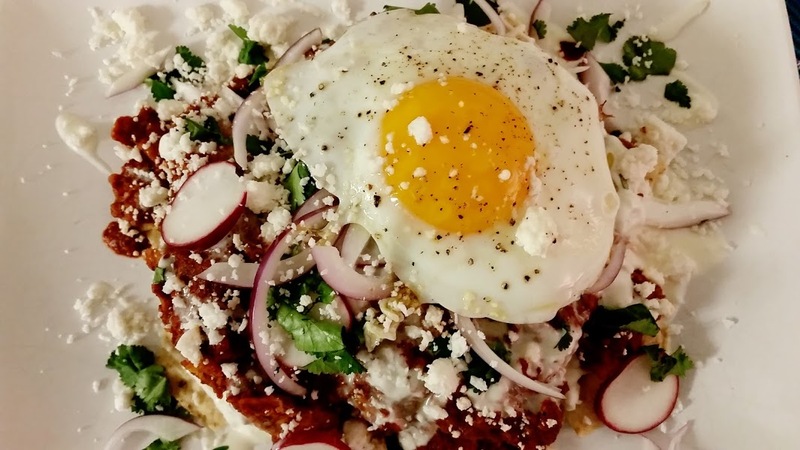 The earliest recipe to appear in the US dates back to 1898, no doubt they were enjoying chilaquiles long before that. This dish was the perfect foil for stale corn tortillas. 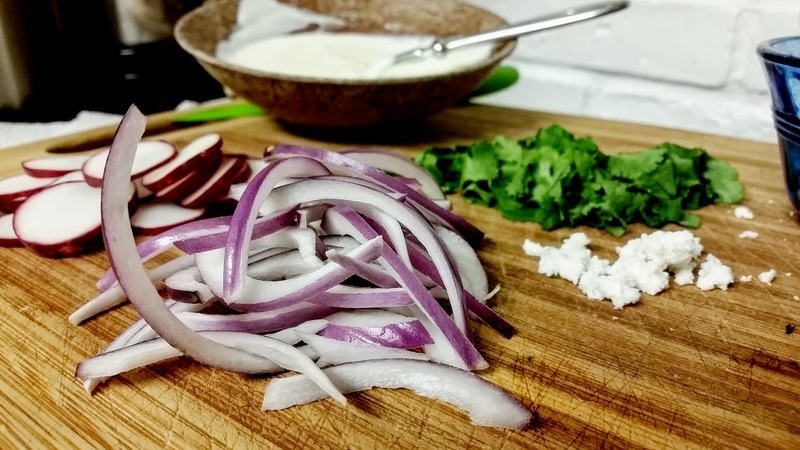 They were cut up into strips and fried, simmered in a chile sauce until the texture was al dente-ish, and then topped with such things as crema, queso fresco, cilantro, avocado and onions. 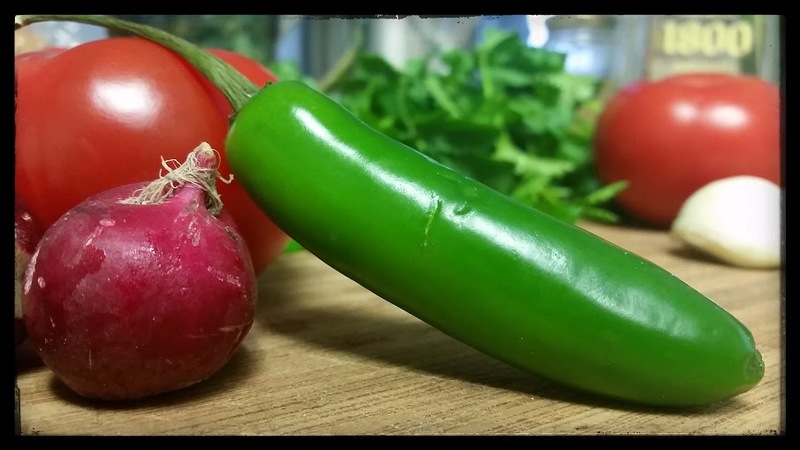 Regional variations abound from the type of chile sauce, to the end texture of the tortillas, to the garnishes used. For example, in parts of Central Mexico, the chile sauce is poured over the tops of crisped tortillas just before serving. At the other end of the spectrum, in Guadalajara, the tortillas are simmered in the sauce until the pretty much disintegrate making for more of a thick soup. In most occasions, I was offered versions in red and green sauce. However, in some areas of Northwestern Mexico it is quite common to have your chilaquiles topped with a white sauce. 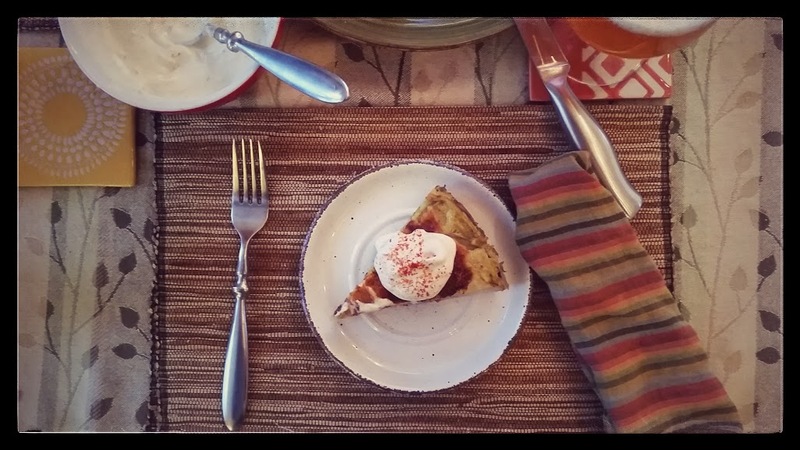 This is Chilaquiles – a nice bridge between the warmth of summer and the cooler days of fall. It is a full flavored, spicy, mid-weight dish. It also happens to be colorful and fresh. It is also pretty much awesome every other time of year as well. My first experience with this iconic dish was in Jaltenango de la Paz, a small town in the southwestern part of Chiapas. It was a simmered in a red sauce garnishes included sliced radishes and arrachera (flank steak), as well as the usual suspects. I particularly liked the queso, very fresh and delicate cheese. I’ll admit that given all of the hype leading up to this, the chilaquiles were kind of underwhelming – soggy, saucy tortilla strips. I realize now that that was intentional and is quite common, if not a defining characteristic of the dish. I craved a bit of crunch. The chile sauce had some heat, but was sort of one dimensional. I don’t know. In hindsight, I want to say that I was too hard on it, but whatever. I had another version at the hotel in San Cristobal. The tortillas were a bit crisper, which I preferred. No radishes or arrachera, but it did have avocado and chorizo. It was good, but my expectations were lower this time around, as well. It came from the hotel after all, not that there’s anything wrong with that. I still felt I was missing out on the experience I was promised. Or perhaps the appeal was just lost on me. In Mexico City, at the airport of all places, I gave it third try. The flank steak was really nicely cooked and flavorful. The tortillas were crisper yet still coated with chile sauce. The toppings were really nice. I could eat it with a fork or still with my hands. I really liked it. So maybe there was something to this chilaquiles thing after all. Now to make my own! I didn’t want to go the stale tortilla route. I wanted some crisp action and but also some of the simmer action. So *gasp* I used tortilla chips. Sauce-wise, I went red. I definitely needed crema, cilantro, and queso fresco. I also liked the fresh radishes and red onion. So there. 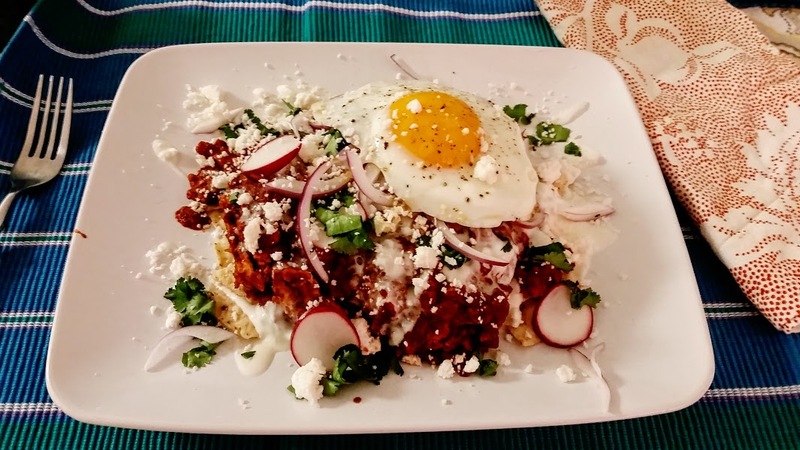 I’m not laying any claims to this being the most authentic version of chilaquiles ever. It takes what I experienced in Mexico and alters it to my preferences. I’m sure versions like mine exist out in the world and if I were to have had one of those, it would have totally lived up to the hype. First stem and seed the dried chiles saving 2 teaspoons of the seeds. Then slice the chiles in half lengthwise. (You’re going to need some boiling water here in a minute, about four cups worth.) Heat a cast iron skillet over medium. When it is hot, add the chiles, a few pieces at a time, pressing them flat onto the pan until aromatic then flip and repeat. About 20 seconds or so per side. 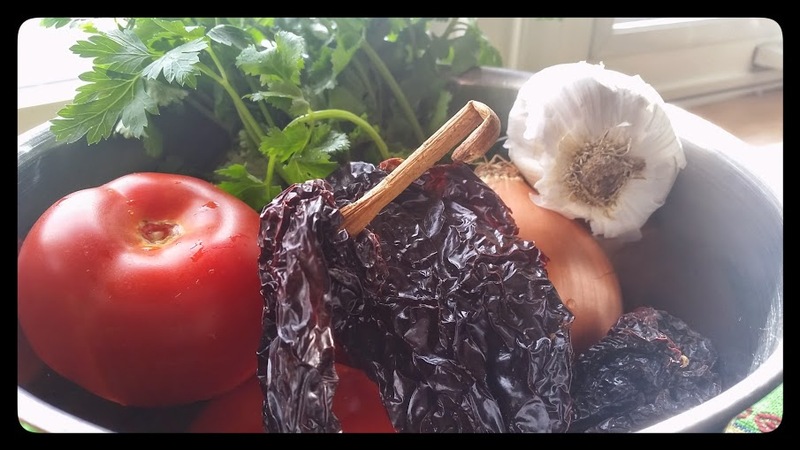 Transfer the chiles to a bowl and pour boiling water over them to cover. Let steep for at least 15 minutes. While they are steeping, toast the reserved seeds in a dry pan until very dark, but not quite burnt. 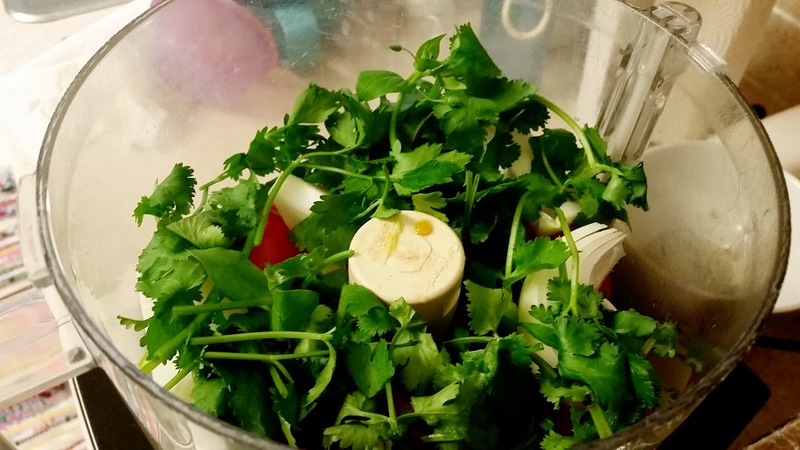 In the bowl of your food processor, add the garlic, serrano chiles, tomatoes, onion, cilantro, salt, toasted chile seeds, and a 1/2 cup of the chile soaking water. Puree until smooth adding additional soaking liquid if it seems dry. 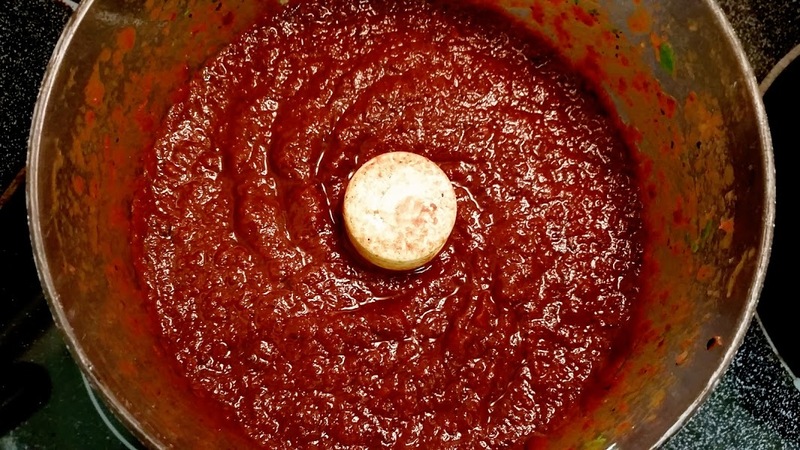 Press the puree through a medium coarse mesh sieve into a bowl. 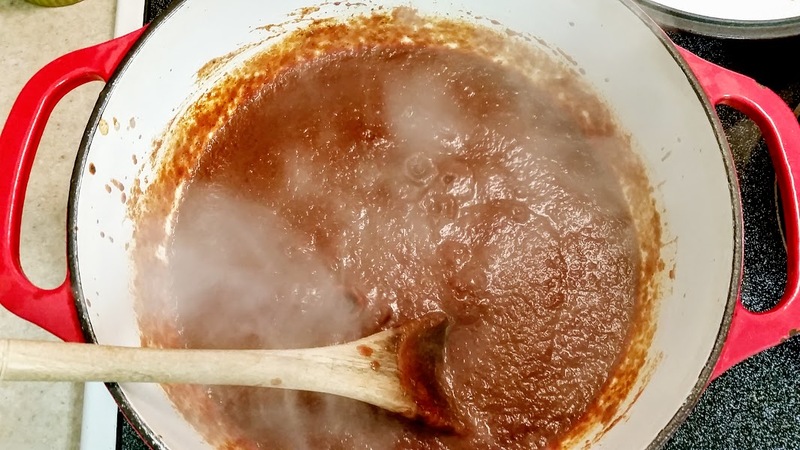 In a pot with deep sides, heat the oil over medium until it shimmers. Put on an apron and prepare to make a mess. Add the puree to the pan. Reduce it down, stirring frequently until it is thickened. About 10 minutes. Add 2 cups of chile soaking liquid to the pot. Reduce heat and simmer, partially covered, for 20 minutes. Stir in a teaspoon of sugar and season with salt to taste. Add the tortilla chips, gently stir to coat them with the sauce. Simmer another few minutes. Spoon the chips out onto a plate and garnish. New Englanders are quite familiar with this unique produce. 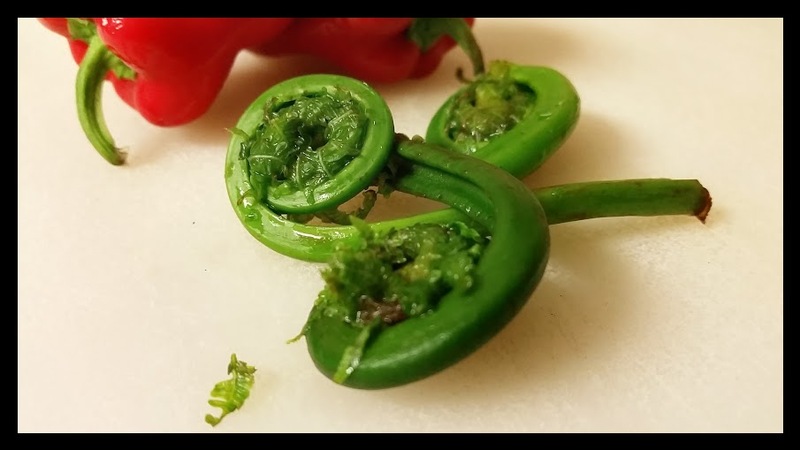 However, I imagine that for most people, fiddleheads are some sort of alien vegetable. We had never heard of them prior to arriving in Maine, but upon seeing a display of these dark green coils piled high at the farmers’ market, we were immediately intrigued and excited by this local delicacy. The unfurled fronds of the ostrich fern are only available for a short time every spring: from about the end of April through the beginning of June. These wild vegetables are harvested along the banks of rivers and streams when the fronds are between two and six inches off the ground and the fern is still tightly curled up like the scroll of a fiddle. You know it’s spring when you see the fiddleheads. This year we tried out a couple of new preparations. Here is a quick and easy one. First things first, clean the fiddleheads by removing any brown colored or woody stem ends. If there is any of the papery brown chaff stuck on, you’ll want to remove that as well. Most often that has already been removed. Then rinse the ferns well in 2-3 changes of water. 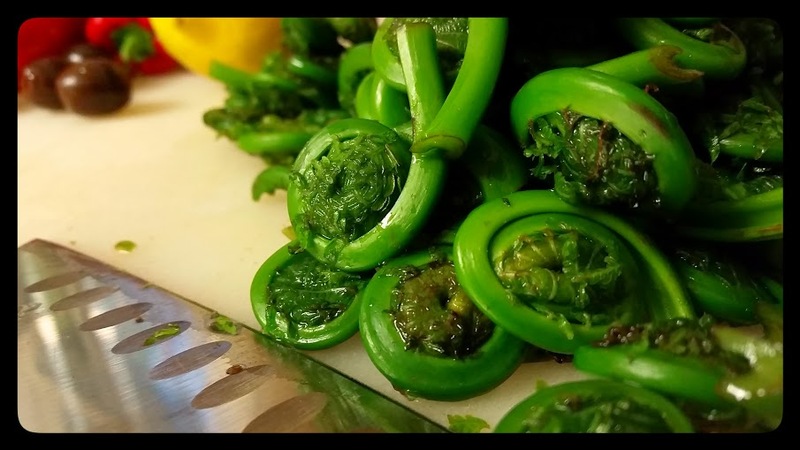 Bring a large pot of salted water to a boil and blanch the fiddleheads for about 3 minutes. Place in an ice bath until cool. Strain them out and pat dry. Preheat oven to 500F degrees. 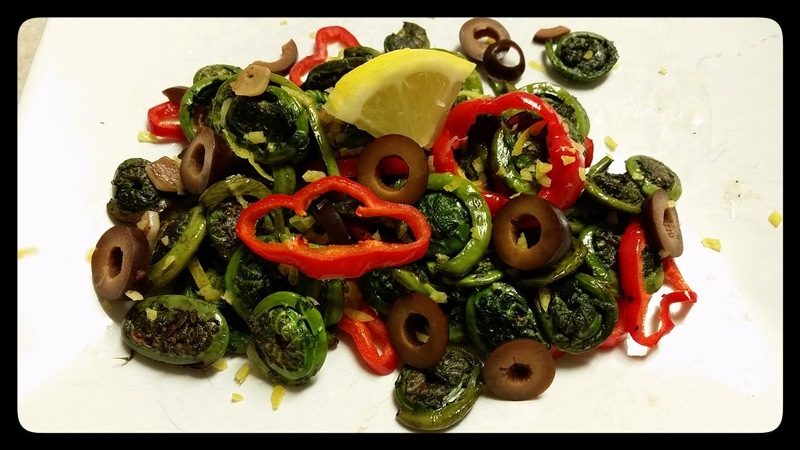 Put the fiddleheads in a bowl with the olive oil, bell peppers, garlic, salt, and pepper; toss well. 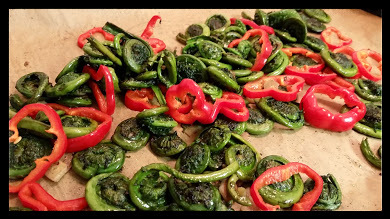 Line a sheet pan with parchment paper and add the fiddlehead mixture. Roast for 6-8 minutes stirring once halfway through, they should be cooked thoroughly, but not mushy. Transfer the roasted vegetables to a serving bowl. Toss with the lemon zest and black olives. Finish with a sprinkling of flaked sea salt and a lemon wedge. The building blocks of the classic cocktail. 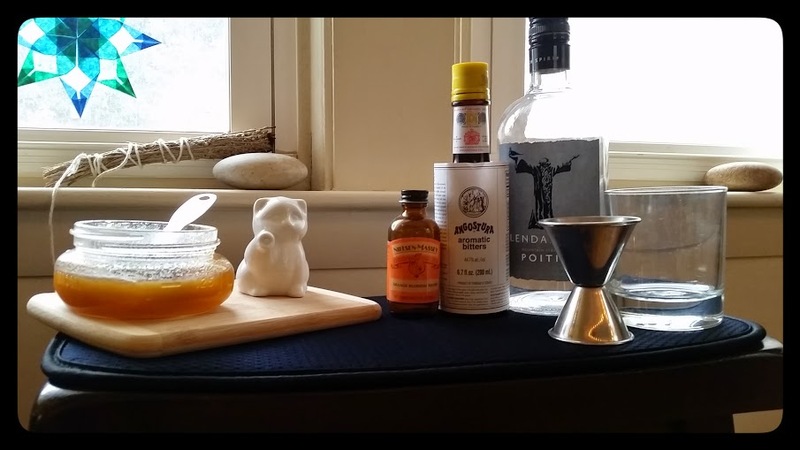 This month’s Mixology Monday hosted by Sass & Gin is a back to basics with a twist. We start with the venerable Old Fashioned. 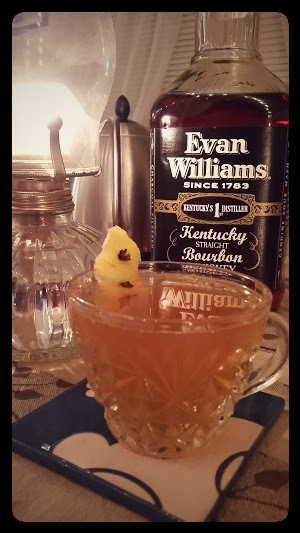 Perhaps the drink that most defines or even originates the concept of a cocktail. My preferred version is made with 1 sugar cube muddled with 2 dashes Angostura, 1 dash Orange Bitters, and a barspoon of water. 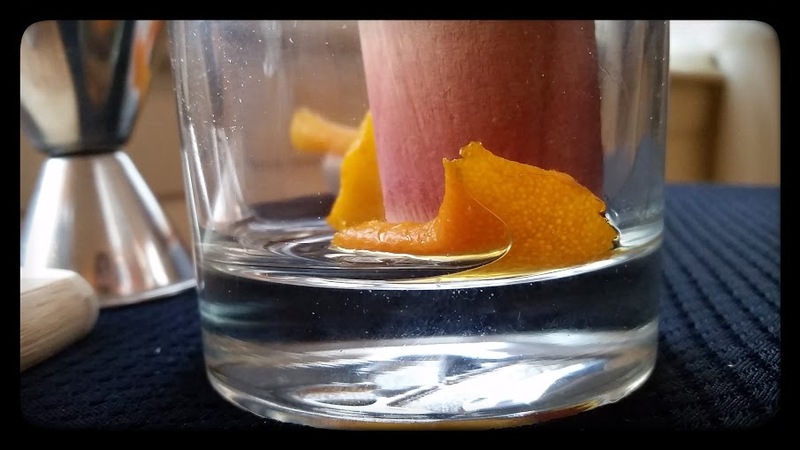 Then firmly press in a large orange peel and pour in 2.5 ounces of Rye. Add a large sphere or cube of ice and stir until well chilled. Sass & Gin has tasked us to take that classic and push it outside the box. 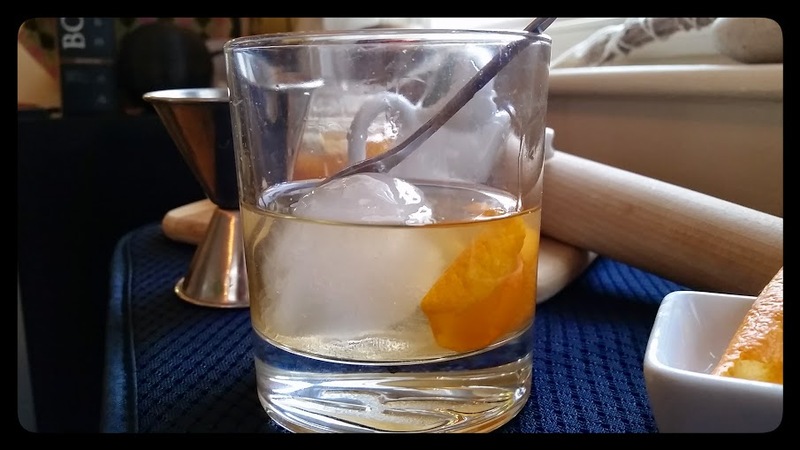 Since we are all feeling a little Irish this time of year, I thought it fitting to offer up an old fashioned cocktail with one of the world’s oldest spirits: Poitin (say potcheen) derived from the Gaelic word for little pots, as in pot-stills. Early records apparently report distilling in Ireland way back in the year 584 by Irish monks. Traditionally made with malted barely, potatoes, and sugar beets, poitin is typically an un-aged Irish moonshine. It was “outlawed” (or prohibitively taxed) in 1661 by King Charles forcing distillers to ply their craft in hiding, evading the excise men, for the next several hundred years. So, in a way, you could say that Poitin is the spirited distillate of Irish independence. 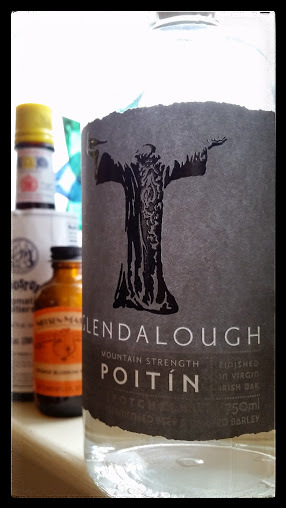 The Glendalough mountain-strength Poitin I’m using is rather intense. It’s got some burn, but it also has a pleasant woody quality with a grape-like fruitiness, maybe a bit of green apple peels and a touch of lime. A pinch of spice, clove? 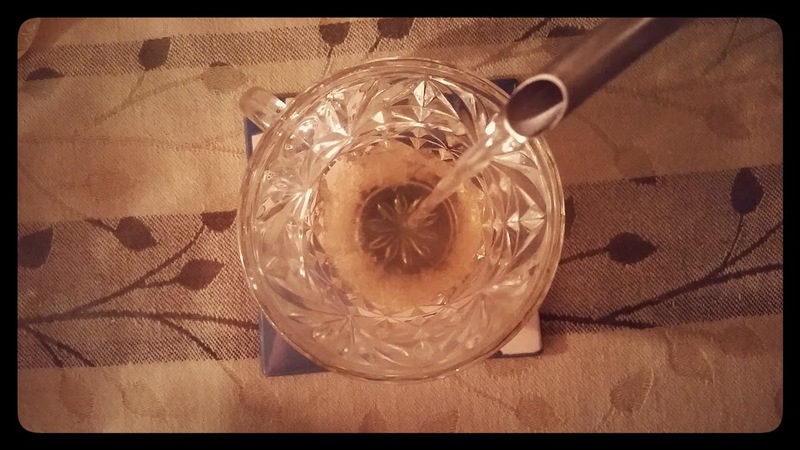 My first attempts at this drink used straight-up, mountain-strength. And well, it was too much…too much to achieve proper balance that is. So, I backed it off and ‘gasp,’ diluted it a bit. In the future, I will purchase either the regular strength or the sherry cask finished version rather than the mountain. Now for the sugar. I tried a bunch of options. Molasses was overbearing. Maple didn’t jive. Simple syrup was too simple. Demerara syrup could work. 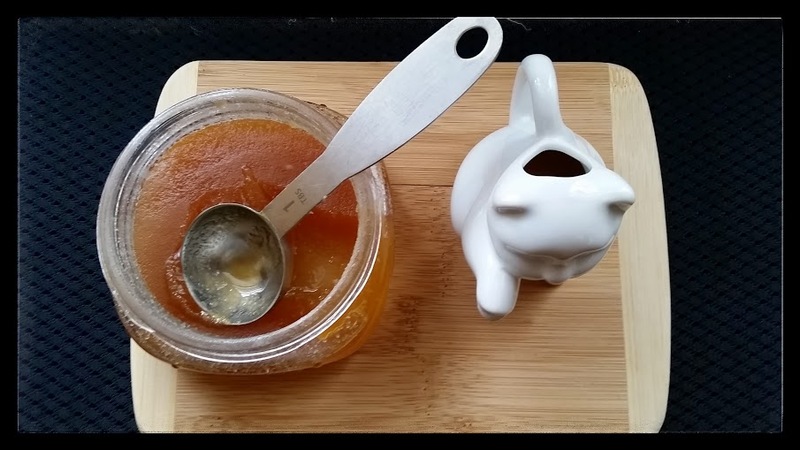 However, it was a 1:1 honey syrup made with a fall honey that we got from a friend that made it sing. During the fall, the bees feast on the aster flowers and the resulting honey has a vivacious floral, herbal aroma along with a deep amber color and a heavier flavor than that of, say a spring honey. Bitters… I really wanted this drink to have some exotic bitters in it, but in the end, I liked the Angostura and Orange bitters best. 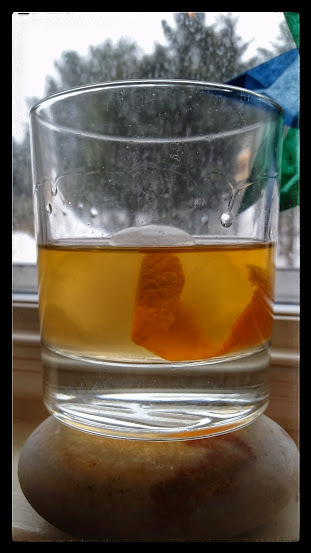 Combine the honey syrup, bitters, and orange peel in the bottom of an old fashioned glass. 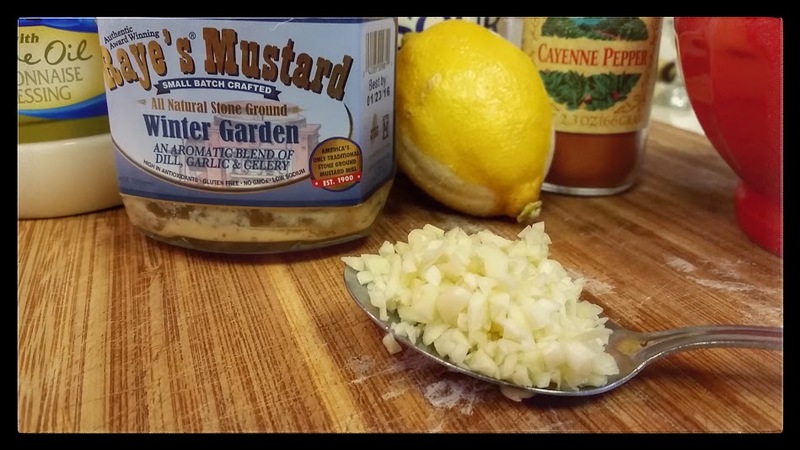 Use a muddler to press out the citrus oils. 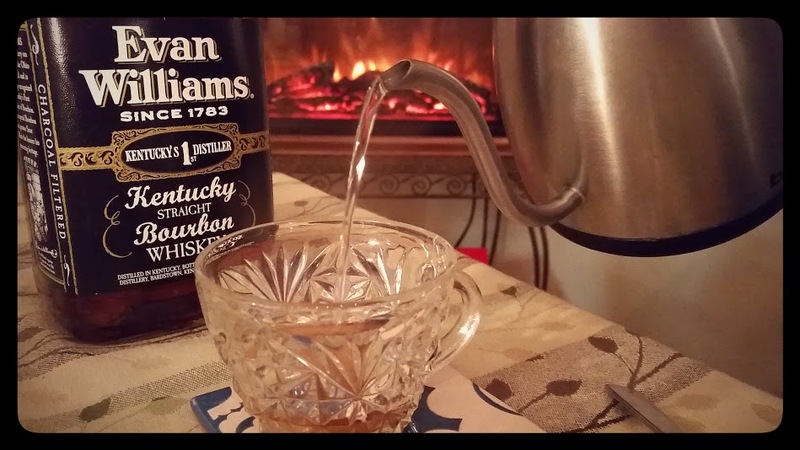 Add the water and give it a swirl or two with the muddler. Then add the poitin, the orange blossom water, and ice. 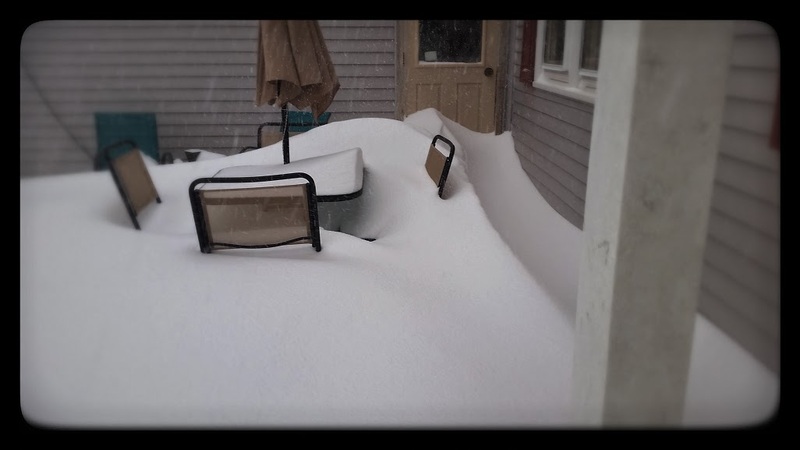 Stir with a barspoon until well chilled. Note: I suspect that if I were to use a lesser proof of poitin, I would find this drink quite agreeable using 2oz of spirit and only a barspoon of water. However, I’ll have to confirm that some other time. Other Note: Connemara Te is a reference to the song The Hills of Connemara, which is about Irish moonshiners. 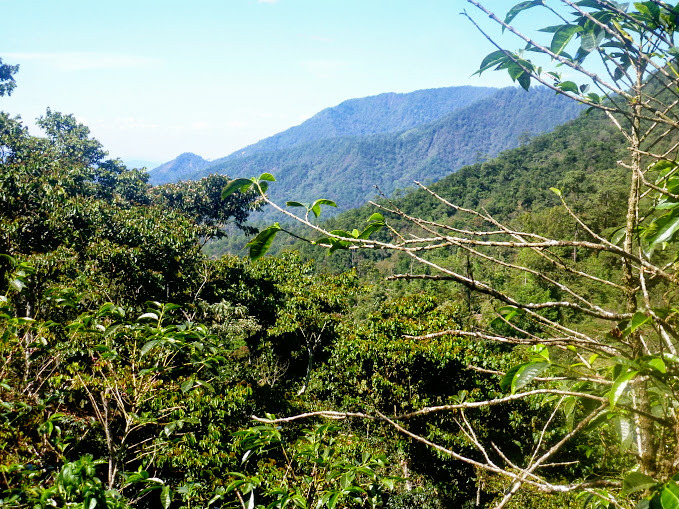 In the song they refer to the ‘shine as mountain te. ‘Te’ is the gaelic word for tea. 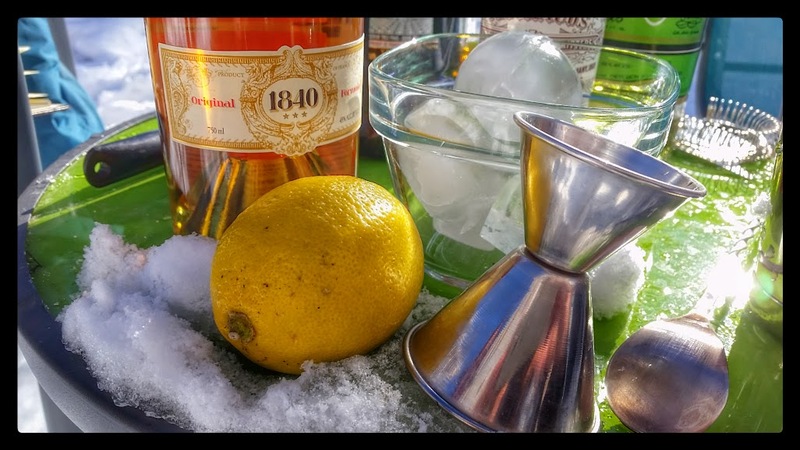 To see a round-up of all the great contributions to this month’s Mixology Monday click here. Now, one could totally take the high road here, and make an emulsified oil spread from scratch. I’m sure it would only push this aïoli a couple of notches more awesome, however, I didn’t do that here. When I buy mayo at the grocery, I can somehow and willingly, I might add, disassociate myself from the truth that this whitey-white condiment is largely just a lot of whipped fat oil. But it also has an uncanny way of making a turkey sandwich sing, not to mention a BLT. But that’s not where mayo really shines. When it’s dressed up with garlic and lemon juice and renamed aïoli, it gains a certain bit of class. Some zip, intensity and complexity. It enters a new domain. It becomes more that just oil. And it tastes soooo good. Combine all ingredients in a bowl. Season with salt and black pepper to taste. Cover with plastic wrap and refrigerate for at least 30 minutes. This keeps quite well and pretty much makes everything better including the Tortilla Española. 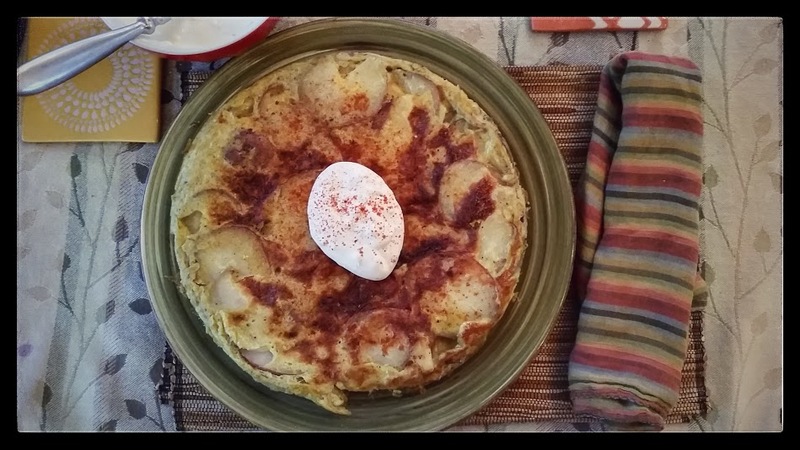 I was introduced to Tortilla Española via my friend Jose on a drizzly, yet warm early spring day in Clermont-Ferrand. He had invited a mutual friend and I to his tiny one room flat for tapas. I can’t remember exactly where in Spain he was from, but I’m pretty sure it was in the southern part. When we arrived, he had already prepared a marinated tomato and onion salad with olives and tuna. While we helped ourselves to the salad and some Kronenbourg 1664, Jose fried slices of potato and onion in a pan of bubbling olive oil. After straining them out, he stirred in beaten eggs, and sprinkled in a bit of dried yeast. All that, was then cooked into one big omelette-like, potato cake. I’m not sure what role the yeast could have possibly played. He didn’t think it did anything, but his grandmother had always added yeast, so he kept doing it. I’ve since omitted it, and since my grandmother never made this, I can do that. Anyhow, it was awesome. When I got back to the states a couple of months later, it was one of the first things I made, along with the salad. In total, I probably ended up making the salad more often, but I hadn’t made either dish for at least a couple of years. Until last weekend, that is. 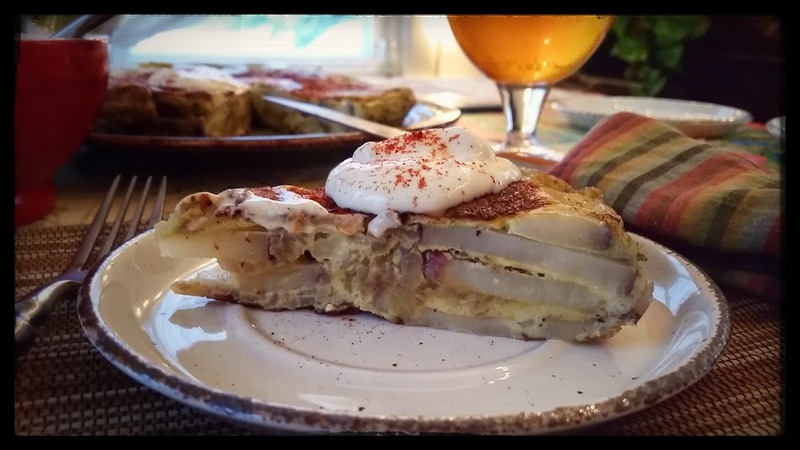 I have rediscovered the Spanish Tortilla and it is still awesome. Heat the oil in a large skillet over medium. 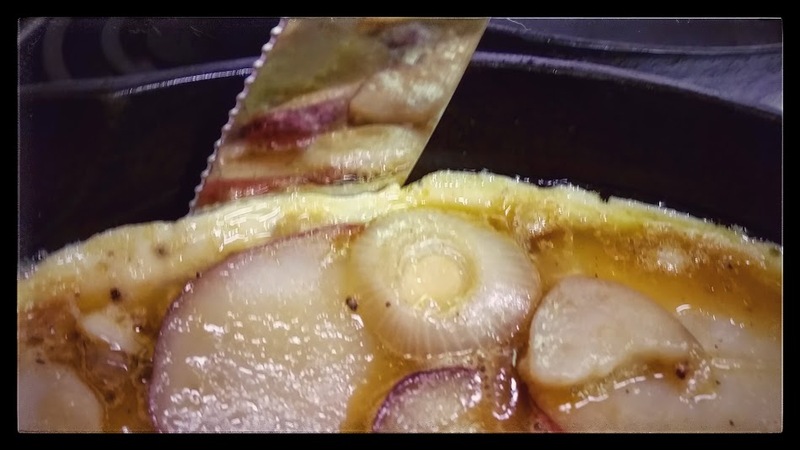 After about 3 minutes, test the oil with a slice of potato, if it bubbles right away, then its ready to go. If not wait until the bubbles start to happen. 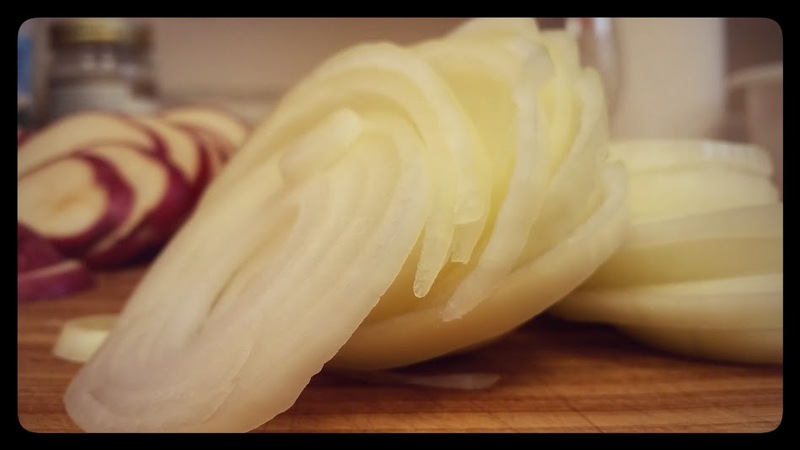 Add the potato, onion and garlic slices to the hot oil. Season with salt and pepper. Gently stir the mixture around in the pan as it cooks and adjust the heat to maintain moderate bubble action. We’re not aiming for browning at this point, just a little tenderness. About 15 minutes, give or take. 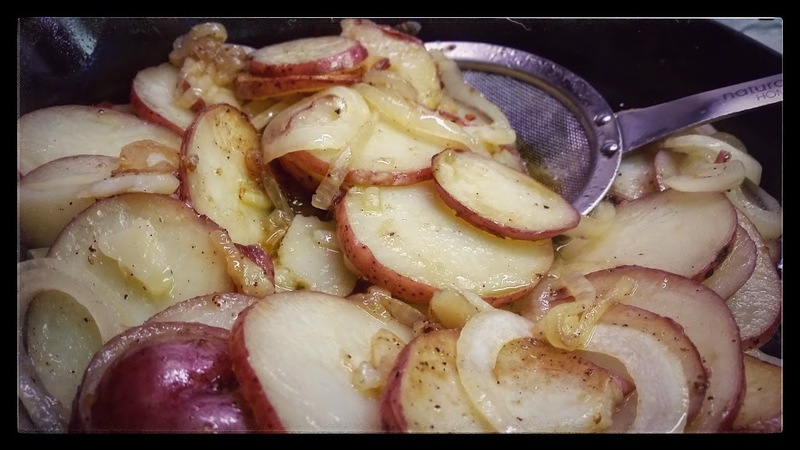 Remove the potatoes-onions-garlic from the oil with a slotted spoon and allow to drain and cool slightly in a colander, or simply lay them out on a paper towel lined baking sheet. Strain out the excess oil and set it aside. 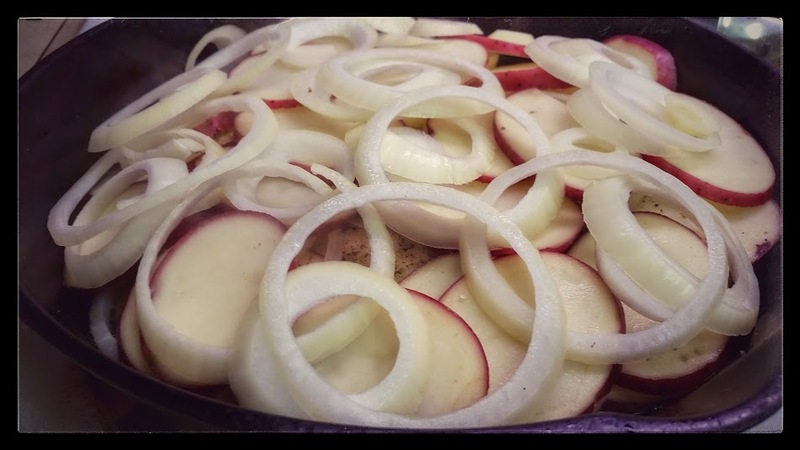 Hang onto the skillet, you’re going to use it again in a minute. Beat the eggs in a large bowl seasoning with salt and pepper. 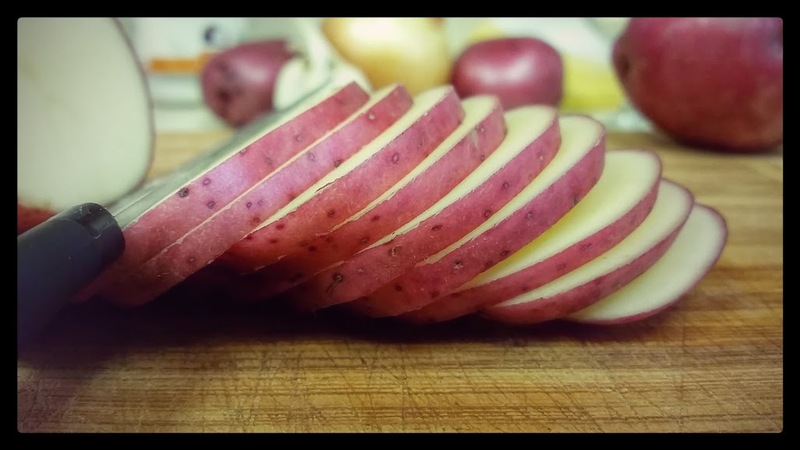 Add the potato mixture and stir/fold gently to combine. Put the skillet back on the burner over medium heat. Add 2 Tbsp of that reserved oil to the pan. 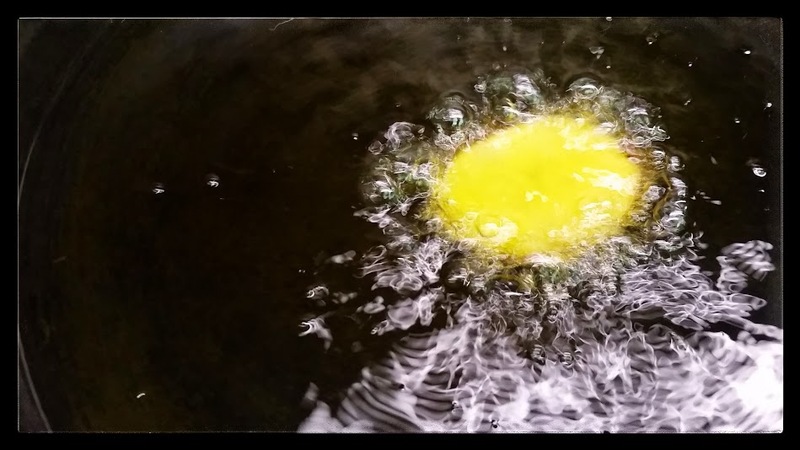 When the oil shimmers, add the eggy potatoes spreading them around in the pan to form an even-ish layer. A minute or two later, reduce the heat to medium-low and cook for 5 minutes. Just leave it be for 5 minutes. Okay, run a knife or something along the edge of the pan to loosen up the tortilla. It gets a bit tricky here. 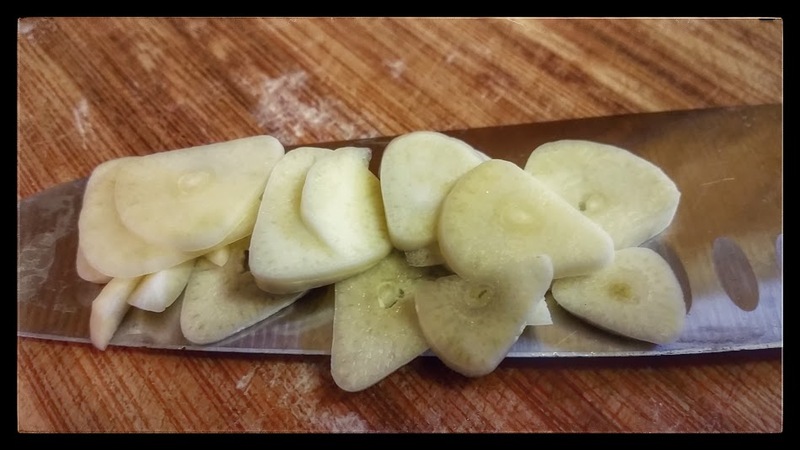 Slide the potato cake out onto a plate. The top of the tortilla is going to still be runny and its okay. Place another plate on top of it and invert. Add another Tbsp of oil to the pan. Save the rest of the reserved oil for another use. Now, nudge the tortilla back into the pan. Cook for 5 minutes. Slide it out onto a serving plate and let it cool a bit. Serve warm or at room temperature. This doesn’t really refrigerate well. Jose served his tortilla with a garlic aïoli and I totally recommend this. Click here for a recipe. Dust with a little paprika and enjoy. Add the sugar to a mug. Fill half way with the boiling water. Stir to dissolve the sugar. Add the studded lemon peel garnish and stir it around a bit. Next pour in the lemon juice and whiskey. Stir a final time. Enjoy. 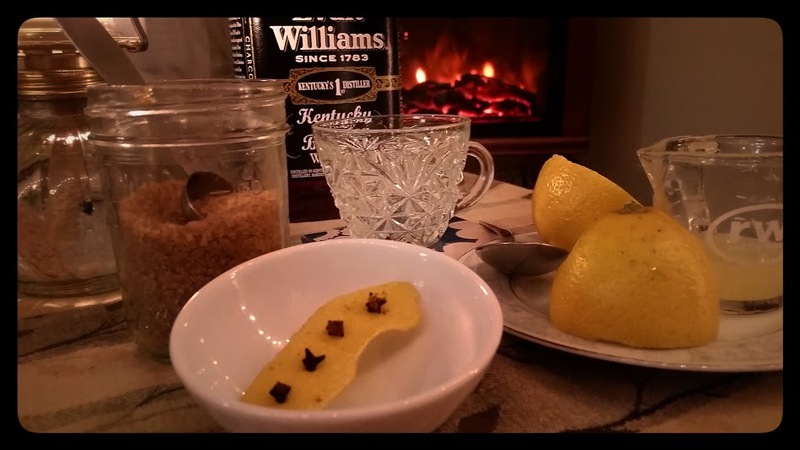 Warding off the cold one toddy at a time. Blue like the January sky. Blue is the memory of color. Anyhoo, Blue is the theme for this month’s Mixology Monday hosted by Ginhound! The blue cocktail trend is supposed to become a thing, so this seems very a la mode. I’m not really one to add food coloring to my drinks just in order to turn a perfectly good martini blue, or a beer green. However, it is near impossible to walk a hard line on food coloring. 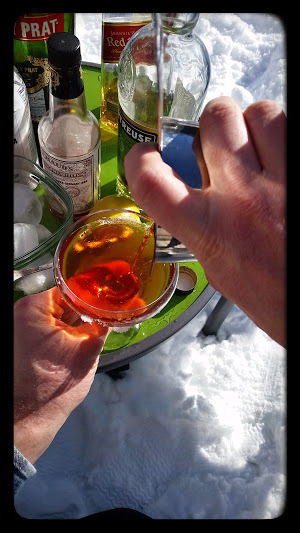 I’m pretty sure that Campari contributes a fair amount of it, as does Angostura and a host of other common occupants of my bar, for that matter. But as for just adding a few drops of blue… well, that would be too easy anyway. So, I originally set out thinking about how I could turn a drink blue more naturally. (I also didn’t have any Blue Curacao or other blue liqueur.) Ginhound had plenty of good ideas of using red cabbage, blueberries and the like, which could totally work, but I wasn’t feeling it. Then I thought about ingredients that have blue in the name, then cocktails that have blue in the name… But that’s when things got more interesting. I started thinking about blue outside the food context and things/feelings associated with that color/word. The challenge to create something around an abstract theme is exciting! A smoky, blue lit club swirling sounds about the atmosphere. Jazz always has had this hazy blue vibe to me. Not all jazz recordings of course, but rather the general idea of it. 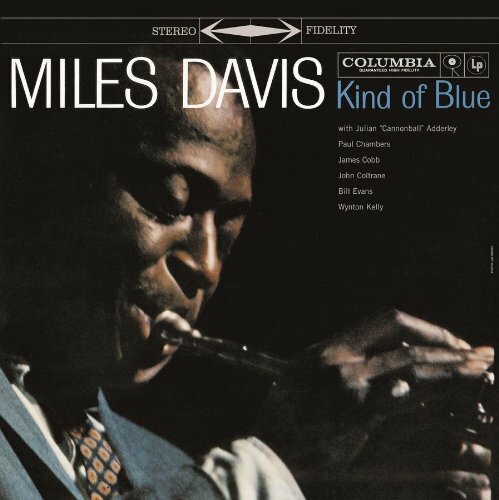 Miles Davis’ Kind of Blue is one of the greatest jazz albums of all time. Let’s create a cocktail inspired by Kind of Blue! After listening to the record, I knew right away that the rounded sophistication of the sound called out for cognac. 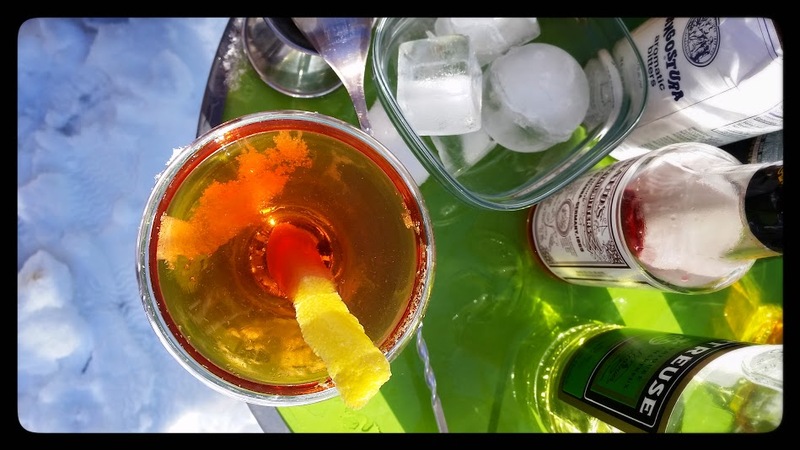 Naturally, my thoughts turned to the Vieux Carré, hailing from the land of jazz with a solid base of cognac. But I didn’t want to just make a classic cocktail. I wanted something that spoke to the source material more specifically. The finer details of the drink, therefore, needed more boundaries. So, I narrowed the album down to one track in particular, Blue in Green. The soft piano and bass undertones would be played nicely by the cognac. An accent of scotch for my smoky haze. The brassy inflections that pop above those undertones add complexity and high notes to the sound and really make the music interesting. 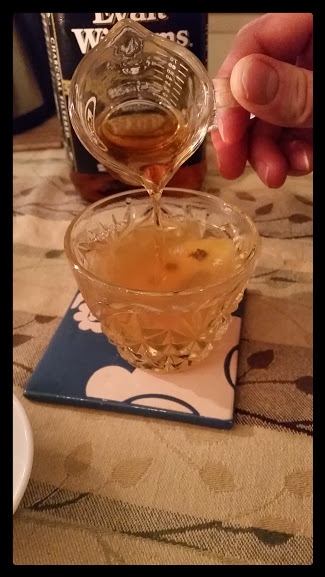 Bitters and a twist of lemon. 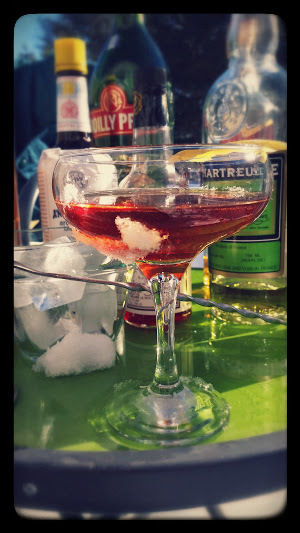 A little sweet vermouth to echo the Vieux Carré, add mouth-feel and round it all out. 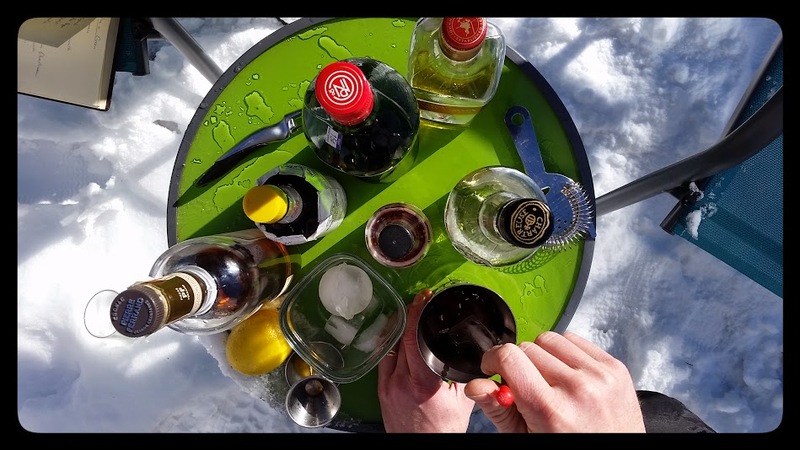 Let’s swirl some green chartreuse into a chilled coup for the improvisation and a subtle shout out to another New Orleans classic. Then, we’ll pour our Blue into the Green! 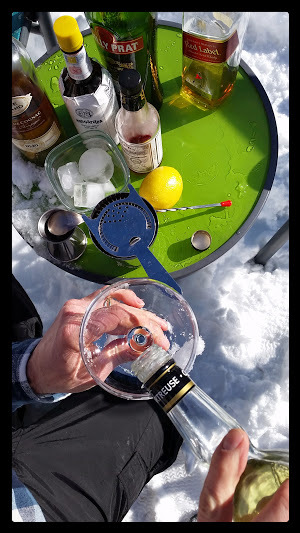 Set a cocktail glass to chill. 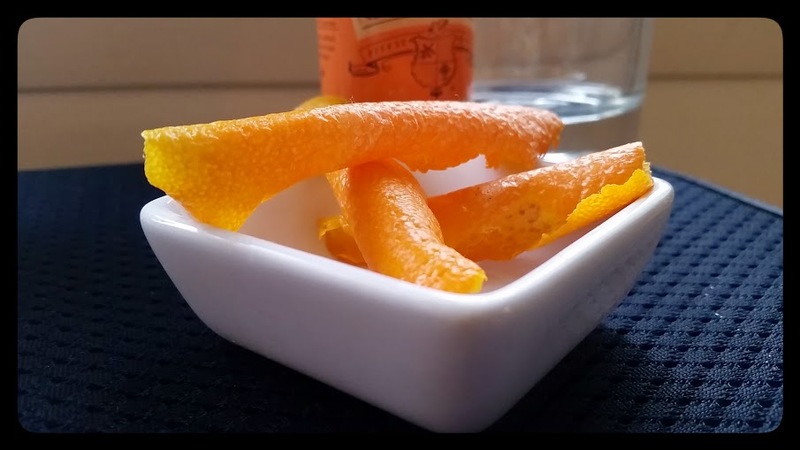 Combine the first 6 ingredients in a mixing glass/tin. Add ice and stir. 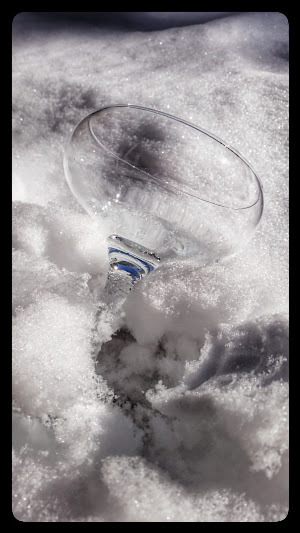 In the chilled glass, add a bar spoonful of green chartreuse and swirl it around the glass. 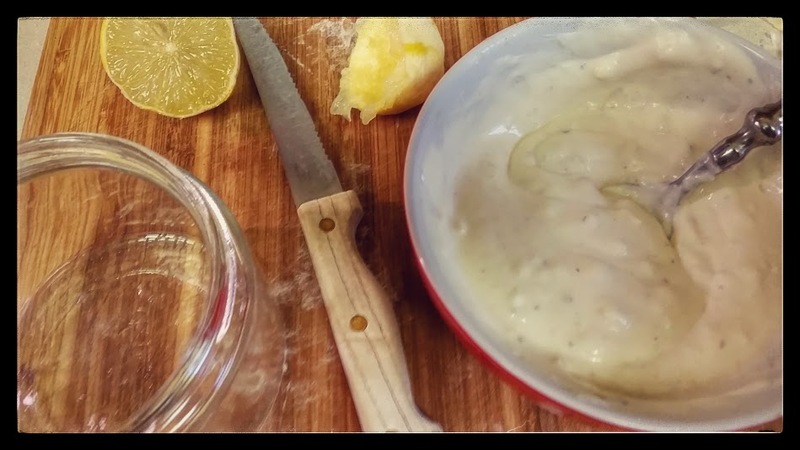 Strain the contents of the mixing glass into the coup, twist the lemon peel over the drink to release the oils and garnish. Blue in Green – a “subtly shifting” cocktail. 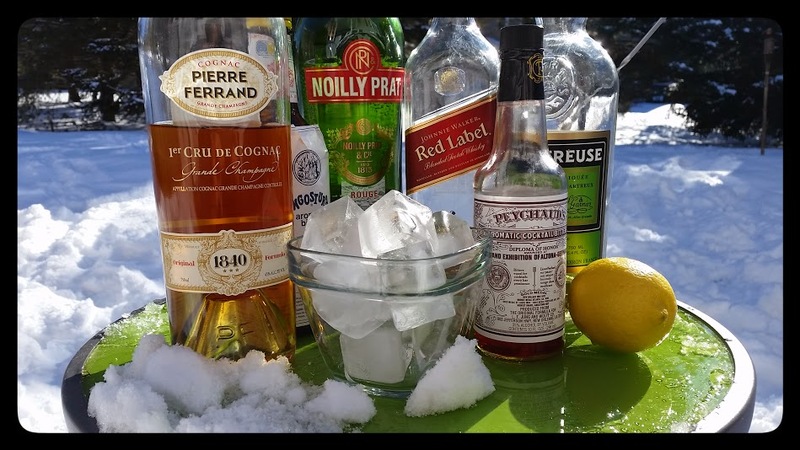 Check out the Mixology Monday round up here. A coastal Maine farm that employs sustainable organic and biodynamic farming practices.